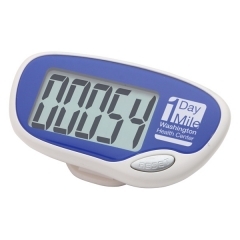 Meaningful promotional gifts like custom easy read large screen pedometer are unique gifts that can build better physique. Then pick it to imprint your brand name and business logo. 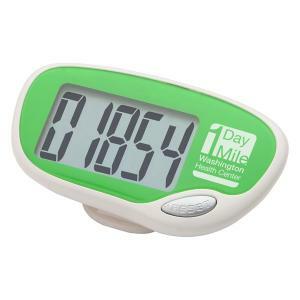 The personalized easy read large screen pedometer is a stylish gadget that can count the number of steps taken up to 99,999. This has an auto shut off and idle mode function. 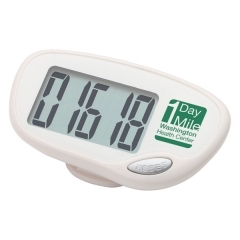 The promotional easy read large screen pedometer is a rare gift that every one loves to own. This lime green device measures 7/8” x 1-5/8” x 1-1/8” and is made from ABS and PMMA. The major highlight of this big screen device is the easy to read large display screen.